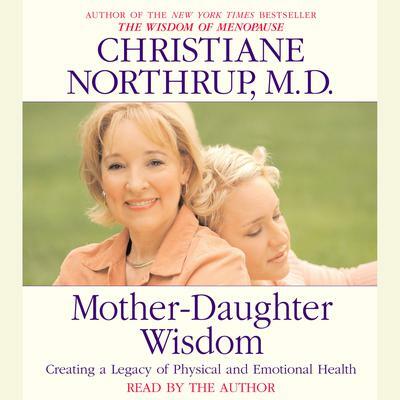 Christiane Northrup, MD, is also the author of the New York Times bestseller Women’s Bodies, Women’s Wisdom and Mother-Daughter Wisdom, and the host of seven public television specials. A board-certified OB/GYN and past president of the American Holistic Medical Association with more than twenty-five years of clinical and medical teaching experience, Dr. Northrup is a pioneer in the partnership between conventional and complementary medicine. Her work has been featured on Oprah, Today, and Good Morning America, among many others. She lives in Maine and is the mother of two adult daughters.